What's going on behind that high construction fence? What do the workers find when they dig deep into the ground? 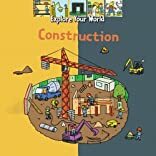 This book reveals the fascinating and active world of construction sites, including: Commercial buildings House construction and room plans Shipbuilding and monuments Safety, hard hats and accidents Construction vehicles, cranes and materials. 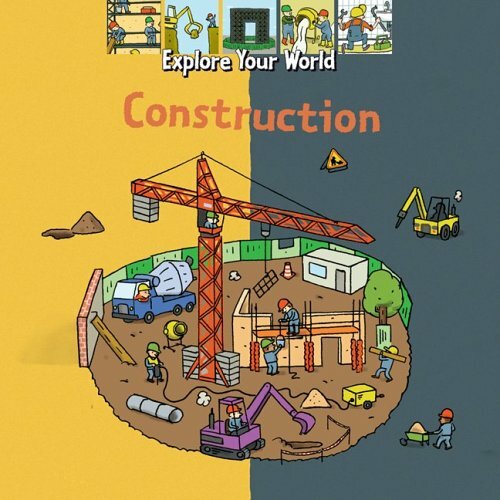 Explore Your World -- a captivating interactive series for young explorers. This new series covers a wide variety of science, nature and technology topics in an innovative and interactive way. The books make use of a profusion of engaging line drawings and colorful illustrations along with delightful pullouts, pop-ups, fold-outs, transparency overlays, reveal wheels, books-within-books and more. Each page offers a surprise for young, curious readers. Lively captions featuring non-technical explanations accompany all the illustrations. About Delphine Grinberg (Author) : Delphine Grinberg is a published author of children's books. A published credit of Delphine Grinberg is Construction (Explore Your World). About Mathieu Sapin (Illustrator) : Mathieu Sapin is a published illustrator of children's books. A published credit of Mathieu Sapin is Construction (Explore Your World).